Martyrs of the Spanish Civil War are the name given by the Catholic Church to the people who were killed by Republicans during the war, because of their faith. During this Civil War of 1936-1939, and especially in the early months of the conflict, individual clergymen were executed while entire religious communities were persecuted, leading to a death toll of 13 bishops, 4,172 diocesan priests and seminarians, 2,364 monks and friars and 283 nuns, for a total of 6,832 clerical victims, as part of what is referred to as Spain’s Red Terror, besides the numerous laity. Pope John Paul II was the first Pope to beatify a large number of martyrs from the Spanish Civil War. Pope Benedict XVI beatified 498 more Spanish martyrs in October 2007, in the largest beatification ceremony in the history of the Catholic Church. 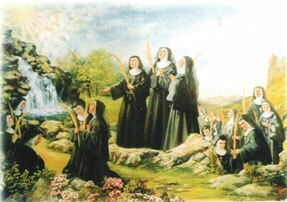 Among the 498 martyrs beatified in October 2007, figure Mother Manuela Arriola and companions – the 23 Martyrs Adorers. Four more Adorers are in the process of being beatified. Thus the Congregation of Sisters Adorers is honoured with 27 Martyrs, being true to the desire of our Holy Foundress, St Maria Micaela, who wanted the candidates who wished to follow the Adorers’ life-style to have the vocation to martyrdom. The two years prior to the Nationalist Movement were, as we know, years of general calamities for the whole of Spain. Madrid was razed by hunger and misery, so much so that if one had not experienced it from close ranges, its description could appear as a fable or a fiction..
On the 28th of July, 1936, the spacious convent at no.7, Duke of Osuna street, the head quarters of the general govt. 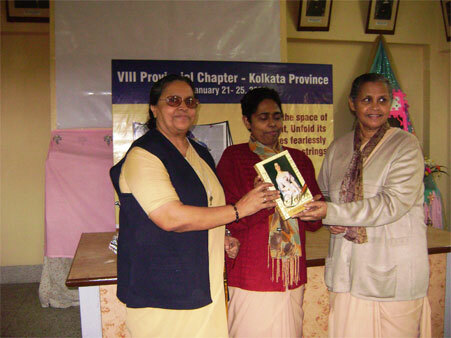 of sisters Adorers was confiscated by the government to designate it as a blood hospital. The militiamen, rifle in their hands in cars aided by them drove the sisters as they considered convenient .It was of common belief that it would take only few days, until the situation would be normalized. How unaware they were of the sad reality that was approaching. 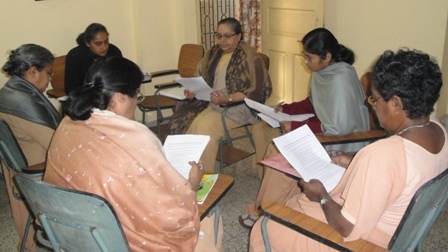 The Superior General of the sisters Adorers, very earnestly looked for ways and means to protect the sisters from the dangers to which they would be exposed. 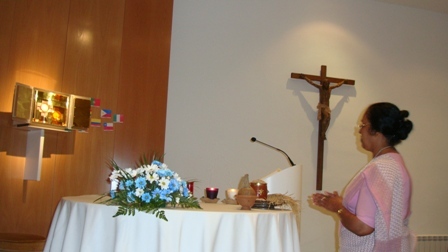 She found several flats where the sisters from the Generalate house were accommodated and those who came to Madrid and several other cities where they faced the same risk. A group of 23 sisters settled themselves in the flat rented at No.15 Constanilla de los Angeles Street. On November 9, 1936, by mid afternoon a terrible bombarding started near the house. As customary in such moments, they went down to the mezzanine floor, where the owner of the house sheltered them. A group of militiamen entered the porch screaming ‘The nuns! Where are the nuns? And by pushing and pulling they put them all into a truck. Everything took place in a span of few hours. They were arrested and taken to the nearest jail. 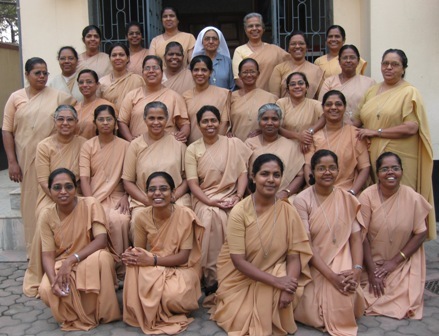 At the dawn of November 10th, the 27 Sisters Adorers were shot dead, because of their unwavering Christian faith. Their life was not taken away from them, it was given up willingly, without hiding themselves or escaping when faced with danger. 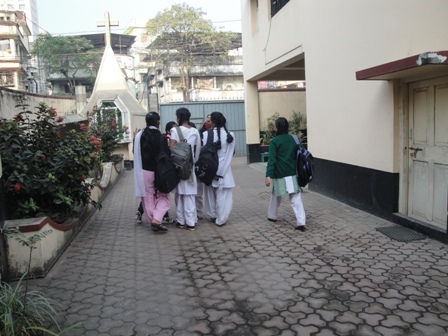 All of them knew that martyrdom awaited them and they welcomed it as His Handmaids! “With trust placed in God we will move forward”.